“Can you play football?” so I answered them one by one, only to be given a barrage of further questions. Mum and I eventually got into the building and were shown into the headmaster’s office. It was nothing like any teacher’s office I had seen before. There was a photo of the king and queen and the two princesses on the wall and a massive map of the world. There was also a photo of a man whom I found out later to be Winston Churchill and another of Atlee. “No thank you” said Mum, so I reluctantly felt obliged to follow suit. Mr Coombes was a warm, polite, kind man neatly dressed in his demob suit. Instantly he made us feel at ease. “Me like learning ’bout oder country,” I said. “He knows the names of the countries’ capitals,” chipped in ‘Mum’ helpfully. “Can you make a kite?” he asked. “Yes” I said puffing up, picturing in my mind the time my “Singer” went higher than Taatee’s. “Yes”, I said, grinning from ear to ear. “We’ll see when the summer comes,” he promised. By now Mr Coombes had begun to make me feel nervous by asking me so many questions. I failed to answer many of them and began to think he was deaf because he kept asking me to repeat things I said. I did not at that time realise that he could not understand my Creolese dialect. “You’ll like this one,” he said and asked me to read aloud from it to him and I remember making a few mistakes. When I finished and handed back the book to him, he asked me some simple mental arithmetic questions such as “What is half a hundred?” Then he handed me a piece of paper and gave me a short spelling test and dictation. I felt privileged to be allowed to rest the paper on his green leather topped desk and write with the red pencil he gave me. “Well done!” he praised me and put his arm round me when we were ready to go. He suggested that I should start in a class with standard eight. This did not mean anything to me until my first day with that class, when I found myself aged ten in with a set of eight year olds. Two boys gave me a tour of the school before we left: Gordon Dinnitch and David Diss. 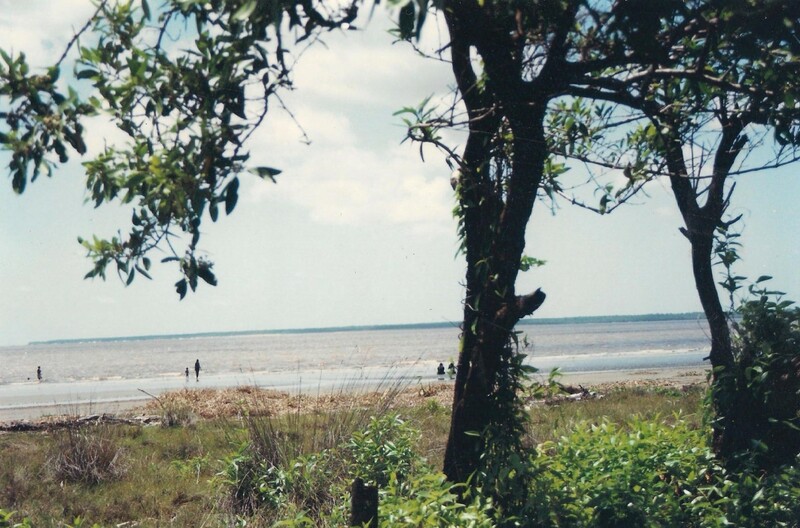 We found it hard at times to understand each other –my Creolese and their Cockney – but I became very friendly with them and by degrees over the next year or two, my Creolese faded away as I took on their Cockney accent. I loved the playground. They promised to show me how to play football, rugby and rounders. They told me about their adventures in the Cubs and the Junior Sea Cadets (led by Mr Taylor who had been a naval officer in the war). I learned that Mr Mooney the gym teacher was popular with them as was Mr Caunt who did art, geography and generally everything. Mr Ward was the music teacher who gave violin lessons. I was very excited to do all these new things and eager to attend school. I had already gained a reputation among our new neighbours in the community for being a keen and helpful young boy even before I started school. On my first day at school I was treated like royalty. All eyes were on me and all play stopped when I came in the gate. Gordon and David shouted at the others not to stare as it was rude. Everyone crowded around us to ask me questions. Then the bell rang and I was taken to Mr Mooney’s class with the eight year olds. 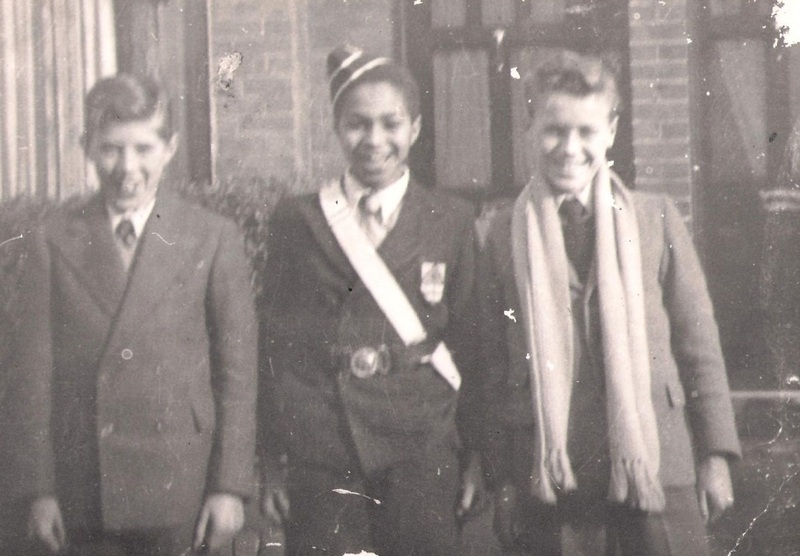 I was upset to be separated from Gordon and David and I was devastated to be so humiliated as to be placed with children two years younger, since in Guiana I had been top of the class and always the youngest in a class of older pupils. Mr Mooney reassured me that after I had spent a while in his class, I would be able to join the boys I had befriended. He later in the day took me to see Mr Coombes for an explanation. It was because he found it difficult to understand what I was saying and that I needed time to improve my English skills before I reached the examination class that would select which type of secondary school I would be able to go to, whether grammar, central or secondary modern. It would give me a fairer chance to go to the best school. As soon as I could speak English properly, I would be able to move up with my friends. I understood and was grateful for the help but it was a bitter pill for me to swallow. That day we had to read, do painting (for the first time in my life, only to discover I was not good at it) and basic gymnastics in the assembly hall. This was my forte: all that practice walking on my hands! If only Marma could see me now! The audience that gathered to watch the spectacle, made me feel special. My acrobatics became a legendary showpiece to be repeated a thousand times. It helped to redress in some way the hurt feelings of earlier in the day. Never before had I been told that there was something wrong with my English. I made up my mind to put it right. I worked seven days a week to try and improve my education, mainly the English. I desperately wanted to be in with my own age group in the same class as my friends. They defended me when some other boys laughed at the way I spoke. “It’s not his fault. Everyone in his country speaks like that!” It soon stopped, so presumably Gordon and David had something to do with that. I joined Tooting Library and began to read, read, read for all I was worth. I enjoyed doing it but I felt lonely and isolated during that first term. The Munroes did not encourage me to go out and I had lots of chores to do. Mr Taylor invited me to the sea cadets. He came and picked me up, so I was allowed to go. I liked what they were doing and wanted to join them, but was not allowed to by ‘Mum’ Munroe. The same happened with the Cubs. Mr Morse persuaded ‘Mum’ to let me join the “Lifeboys” ( Junior Boys Brigade) probably because it was a church organisation. It met once a week and over the next year or two, I won many awards and medals including six annual Sunday School Scripture exams of which five were distinctions. This helped me with reading, writing and storytelling. I also learned to blow a bugle. From here, I eventually graduated to the Boys Brigade. During this period, my confidence and ability in English improved greatly. I became something of a celebrity at an early age because I was selected many times to go and speak to other youth groups all around London. This pleased all my teachers who supported me in all my endeavours. Sometimes they invited me into their homes where I met up with other children of our age reading to each other, discussing our proposed future careers or how the local community could be improved. We went out collecting donated items for charity. Even in those tough post war years, people did give. I felt it was helping Guyana in some way. It was the foundation of my later life. The teachers, all male survivors of the war, were faultless in my eyes and moulded me. Their wartime experiences made them make wise decisions. I respected and admired them, and their decision to start me off in a lower grade helped me to improve faster so I realised and appreciated it in retrospect. The summer holidays came. Lots of things happened in my first summer. I got up at five a.m. and did my chores so I could go out and meet up with Maldwyn Price and spend the whole day playing football on Tooting Bec Common. Some days we played cricket or we raced on Tooting Bec track and other days we went fishing on the common. We cut hedges and ran errands for elderly neighbours or did gardening or weeding for them. In those days all the boys did work like that just to be helpful to neighbours. We were always rewarded but we never did it for the money. On returning to Franciscan Junior after the holidays, I was to my joy promoted to the top class with all my friends. All that hard work had paid off. Since I had copied the way they spoke, I now had a cockney accent so they found it easier to understand me. I helped the school to win the London Junior school cricket in 1951. We were undefeated and I played a big part in that. The Surrey Cricket Club Scouts were watching me and they selected me to go to their academy in Earlsfield. I also won the Wandsworth School’s Mosquito-weight Boxing Championships. In the south London Road Safety Essay competition, I won a book and was awarded school certificates for taking care of plants. My contributions to the school gymnastics, cricket, boxing, choir and other competitions won me the school colours. In the Tooting Library Stamp exhibition, I was awarded third prize. Looking back, my time at Fransiscan Junior School was the best that any young boy could ever have. The teachers made learning so interesting that you did not want to misbehave, so I never got punished. They took us to museums and places of interest and looked after us as if they were our fathers or grandfathers. They had time for pupils like me. Even at that time, I was impressed by being allowed to express my opinion. By contrast, in British Guiana, you were not allowed to question the teachers or discuss. All knowledge was received from the teacher and not questioned. At Fransiscan, we did not specialise in anything and at one parents evening, Mr Coombes praised me in front of all the parents assembled as being a good all-rounder in academic and physical subjects, by being helpful to neighbours and old people, and supporting charity efforts by collecting for them, by winning competitions to give the school a good name. This encouragement fed my desire to strive even harder in all these activities in future. I love reading this! Still not started the book yet & think this might be the way I e d up reading it! Great detailed insight into the stories we’ve heard over the years in snippets. Look forward to reading more!!! Glad you liked reading this Kirstin, but it is not a part of “The Eldorado Affair” and has nothing to do with THAT book. This is just Edwin’s story for the benefit of his family, his old army friends, our ex students back in Guyana and any other person interested in his early life and how he came to have the career he did. Really enjoyed reading the latest “Joe Bloggs”. So now we know where the cockney accent originated! Hi I like this very much. What a lovely surprise to have received this from Maurice and Lisa. Many of the teachers’ names I remember as I and my brothers were pupils at Franciscan Road School. Mr Coombes was the headmaster then, and Mr Mooney was my teacher also. Would like to say Hi to Carpenter Kissing and Refer Auntie Kain and of course EDWIN (Eh – eh?) Hi also to Janet. Glad you like this Julius. It is me (Jane) writing Edwin’s story but he says hi to you and your family and hopes you are all well.